WOW! Here's your chance. 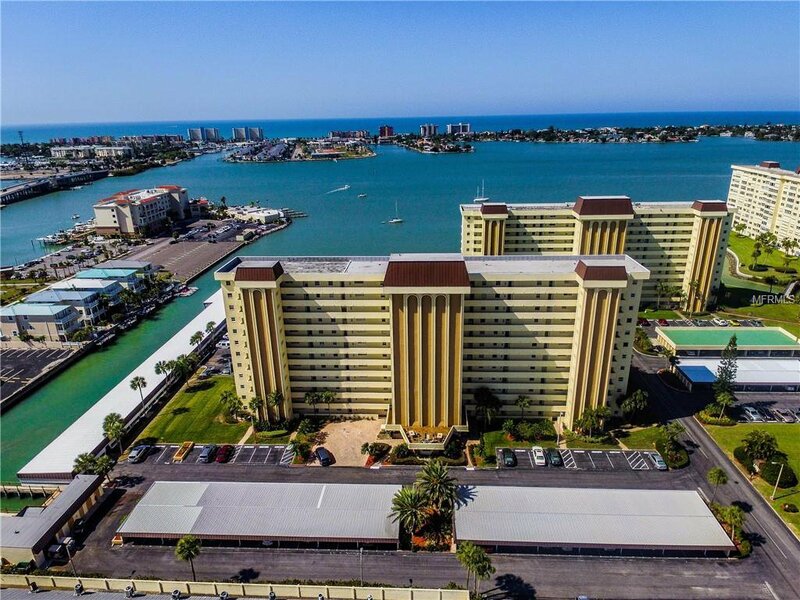 Amazing updated condo with outstanding views of our beautiful intracoastal waterway, Madeira Beach, & the Gulf of Mexico not to mention front door panoramic views across St. Petersburg. Completely updated open kitchen featuring granite counter tops, stainless steel appliances, island with breakfast bar, & a tray ceiling with back lighting. New porcelain tile in living, dining, and renovated bathroom. Custom closet shelving, blinds & drapes. Updated fixtures throughout. Newer windows, A/C (2016) & water heater (2017). Nice sized Florida room large enough for your overnight guests. Literally, move in & enjoy your own piece of paradise. Sea Towers is a wonderful 55+ community with activities for all. Gated with 24/7 security, 2 heated pools, tennis courts, shuffleboard, putting green, fishing docks & covered picnic shelters. Recreation building/clubhouse with social director. Work out room, sauna, exercise classes, billiards, library, card games, shows & dinners. Covered boat slips & kayak racks for rent. Walking distance to shopping center, grocery store, restaurants, banking & our waterfront American Legion. Enjoy a walk around the grounds featuring a lagoon, fountains, tropical landscaping & waterfront pier. This is one of the nicest condos in Sea Towers. What more could you ask for? Make sure to see it soon or you may be too late. Listing courtesy of CHARLES RUTENBERG REALTY INC. Selling Office: SMITH & ASSOCIATES REAL ESTATE.